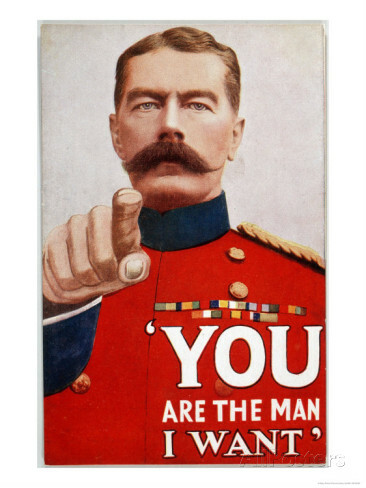 British field marshal Lord Horatio Herbert Kitchener, famous for his iron rule as a British imperialist and colonial administrator in Africa, India, the Sudan and Egypt, is killed when a German mine explodes the warship he was on while he was headed to negotiations with Czarist Russian military leaders. Posters featuring Kitchener inspired James Montgomery Flagg’s famous poster of Uncle Sam. A fireproof building, expected to be one of the most handsome clubs in the South, will be erected by the San Antonio Country Club to replace its previous structure claimed by fire. The historic Nic Tengg home, owned by the Tengg family for over 101 years, has been sold to Joske’s of Texas as an addition to the store’s parking lot. The two-story wood, brick and adobe house – long a landmark at 326 E. Crockett St. – will end its colorful career as it gives way to progress and a growing, bustling city. West Texas Military Academy (now Texas Military Institute) graduates the class of 1897 – including future General Douglas MacArthur. Gen. MacArthur was one of the original 49 cadets from the first class at W.T.M.A. in 1893-94. The Southwestern Bell Telephone people are busy planning a campaign for the event they call the Big Conversion. They are getting ready to switch over to the dial telephone system. Responding to a proclamation of Mayor Brown, thousands of San Antonians stopped their work for a citywide 10-minute session of swatting flies. Health officials promoted the campaign. Custodian Bennett of the Alamo has discovered several traces of blood on the walls of the historic old building. They had been covered with whitewash. Stonewall Davis becomes the first African-American appointed to the Library board. Because it has lost its commercial appeal, owners of the Spanish Governor’s Palace have revealed plans to tear the building down. The Stars and Stripes – national emblem of the United States for 163 years, waved over San Antonio today during a Flag Day marked by a resurgence of patriotism such as spread over the nation during World War and Spanish-American War days. Feeling the need for national unity in these times when the flags of many European nations have been ground under the wheels of a gigantic war machine, thousands of San Antonians bought American flags to display during the day, depleting the flag stocks of many stores here, A. F. Dugosh, chairman of the American Flag Day Association of San Antonio contest committee, commented. The name of municipal airport is changed from Winburn Field back to Stinson Field. The first telephone company in San Antonio, the San Antonio Telephone Exchange, begins operation. Kids tuned into the one hour broadcast of “Disneyland” at 8:00 on KENS Channel 5 to hear about Walt Disney’s new amusement park with the same name that opened yesterday. The grand opening was broadcast live on the ABC television network but no one in San Antonio got to see it. There is no ABC-affiliated station in San Antonio. Capt. John W. Sansom, former Union soldier, Texas Ranger and the first sheriff of Kendall County, dies at his residence at 1102 N. Flores Street here in San Antonio. USAA is founded in the Gunter Hotel. “The Blue Yodeler,” Jimmie Rodgers, and Don Galvan “The Banjo Boy” appear onstage at the brand new Majestic Theater. Rep. Carl Vinson, chairman of the House Armed Services committee, introduces a bill in Congress to authorize the establishment of an Air Force Academy, to be of equal academic status to West Point and Annapolis. Thomas K. Finletter, Secretary of the Air Force, says that the list of proposed sites has been narrowed to seven. Of these, Randolph Air Force Base, already an important Air Force installation of long standing, appears to be the favorite. The fifth annual commencement exercises of St. Mary’s College took place at Beethoven Hall this morning. St. Louis College graduates its first class – a graduating class of two. St. Louis College received junior college status from the State of Texas that same year and merged with St. Mary’s College in 1923. Participants in a forum on homosexual rights last night mapped plans for a march tomorrow to culminate local observances of “Gay Pride Week” here in San Antonio. The Soledad Roof outdoor movie theater opens “on the banks of the San Antonio River where cool breezes blow.” Along with motion pictures – music, dancing and live entertainment is offered. The rooftop theater is located on top of the building that would later house Solo Serve downtown. A new bunting flag was put up over the Alamo yesterday afternoon to replace the old cotton one which was tattered and torn. It has only been within the past few months that the Texas flag has waved over the Alamo. Heretofore, the United States flag was used. The Trail Drive-in theater (right) at Military and Roosevelt opens. Tom Nissalke, former coach of the ABA Dallas Chaparrals and the NBA Seattle Supersonics, is named the first head coach of the San Antonio Spurs. Color television arrived in San Antonio today but it will be some time before the average person will be able to afford and enjoy it in his home. The first color TV programs were broadcast by WOAI – the “Today” show from 6 to 8 a.m. and “Home” from 9 to 10 a.m. For the present time, no color programs in color will originate locally. The programs were available for viewing in color at the Wolff & Marx department store on a handmade television with a 14-inch screen. Virgil T. Blossom, former superintendent of the embattled Little Rock School District in Arkansas, becomes superintendent of North East School District. The site for the Church of San Fernando is selected when Juan Antonio Pérez de Almazán, captain of the Presidio of San Antonio, lays out a central square for the villa of San Fernando de Béxar, as San Antonio was first called. The church is to be located on the west side of the square. After Almazan selected the site of the doorway of the church, the Main Plaza was laid out from the doorway. The old front of San Fernando Cathedral is torn down for renovations. An immense U.S. flag was draped from the balcony of San Antonio’s City Hall to mark the Fourth of July because it was too big to be raised on the city’s flagpole. Eric Brendler, manager of Interstate’s Broadway theater, advises that 178 sets of twins, ranging from 5 to 65 years, responded to the newspaper announcement that the town’s twins would be admitted free to see Walt Disney’s “The Parent Trap” on opening day. Despondent over the drowning death of his only son nearly four years earlier, Alexander Joske fatally shoots himself. A new employee at the San Antonio National Bank, 213 W. Commerce, stepped on the burglar alarm button, causing 10 police cars to dash to the bank.